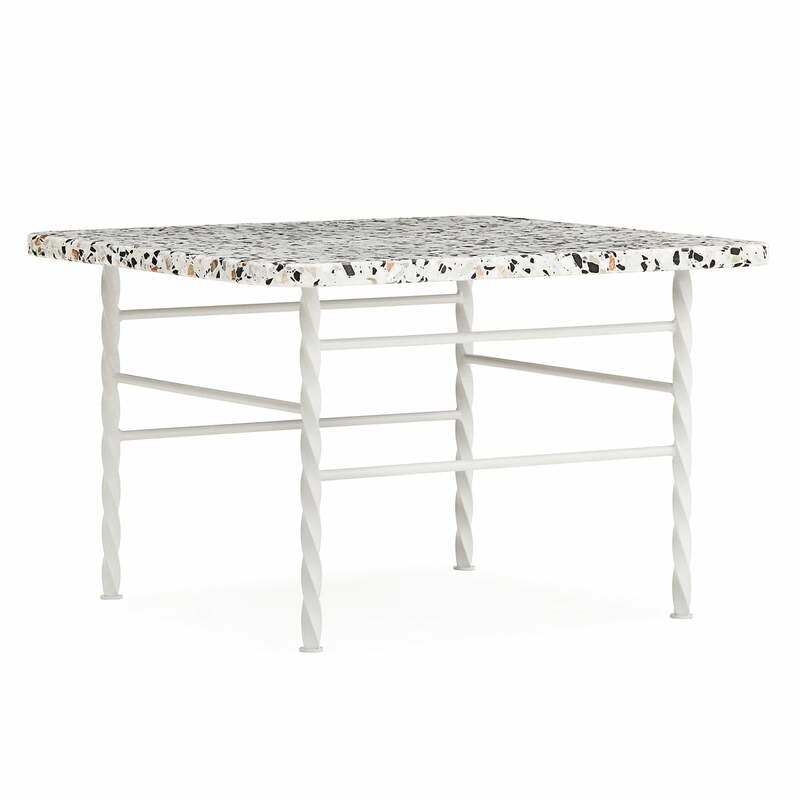 The Terra table by Simon Legald for Normann Copenhagen is a refined and solid coffee table which is particularly impressive with its multicolored terrazzo tabletop. The plate is supported by four twisted and lacquered steel legs. Despite its solid stone plate, the table looks light on its feet. 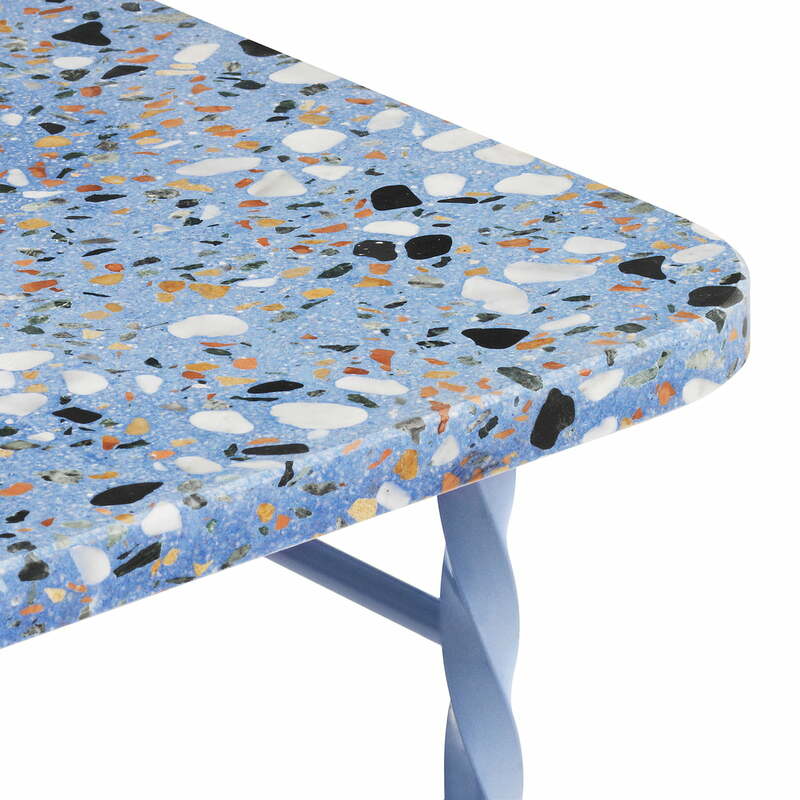 Terrazzo is a traditional material that has been known since ancient times and can often be found in Italy and Greece. The unique look of Terrazzo is made up of different sized pieces of marble and concrete. Uniformly cut and polished, terrazzo is a particularly robust and low-maintenance material that is versatile with a unique color scheme. Individual image of the large Terra Table by Normann Copenhagen in beige. 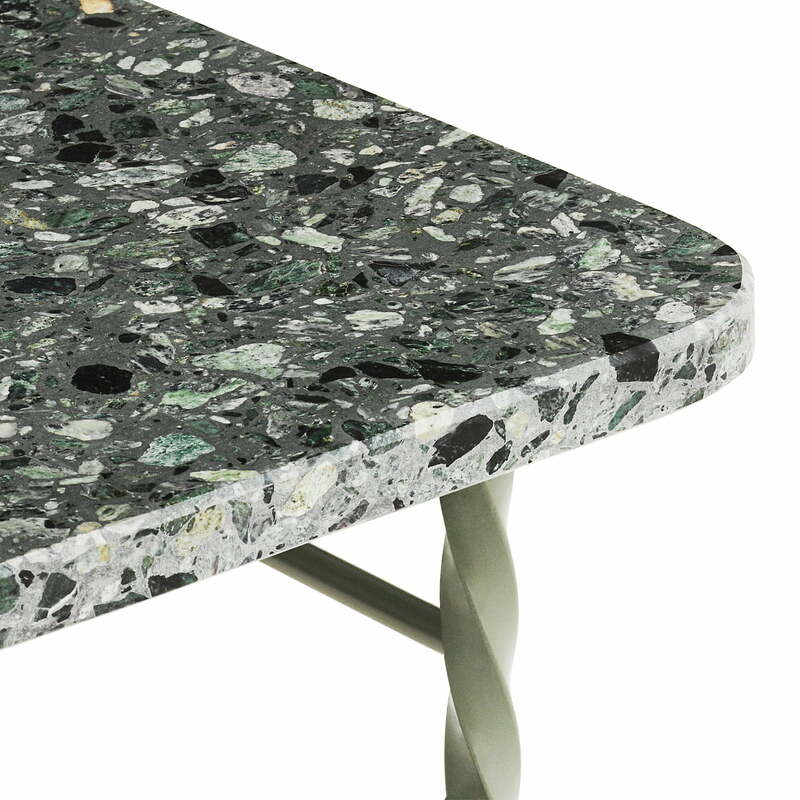 The unique look of terrazzo is composed of different sized pieces of marble and concrete. Group image of the large Terra Table in grey and the small table in blue from Normann Copenhagen. 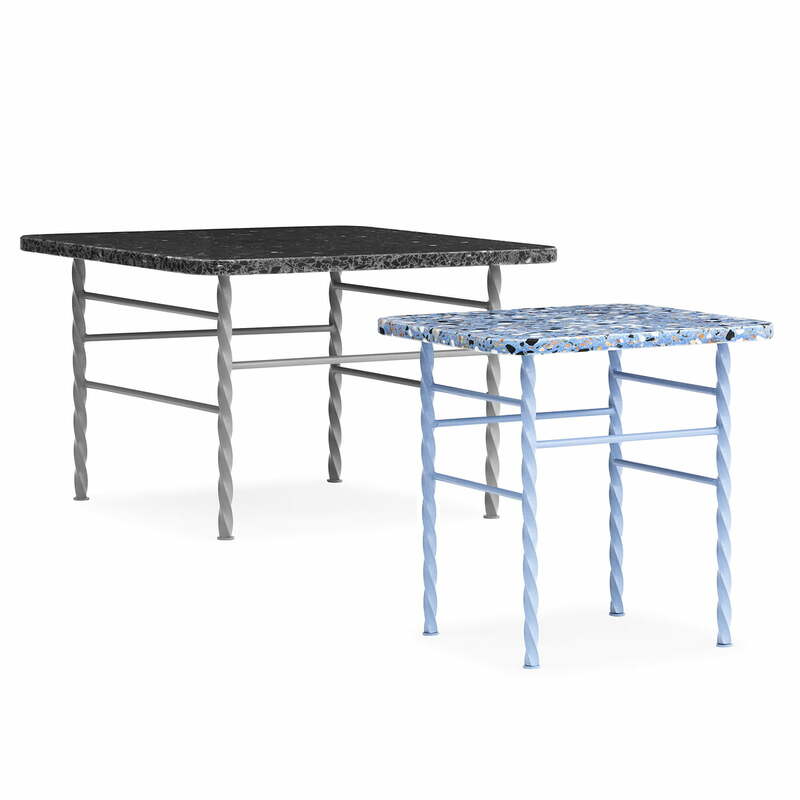 The Terra Table is available in two different sizes. Detailled view of the Terra Table from Normann Copenhagen in blue. The plate is supported by four twisted and lacquered steel legs. Despite its solid stone plate, the table looks light on its feet. Detailled view of the Terra Table from Normann Copenhagen in green. The plate is supported by four twisted and lacquered steel legs. Despite its solid stone plate, the table looks light on its feet.